Crepes are the perfect breakfast, the perfect lunch, the perfect dinner. I can think of something better…Crepes are the perfect snack while strolling the streets of Paris wishing you could stay forever. Sigh…. 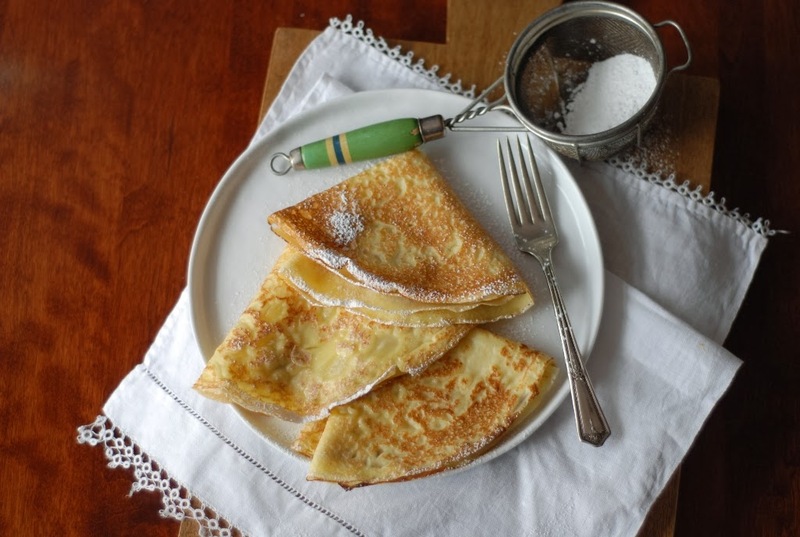 You can make crepes sweet or savory (I prefer sweet). 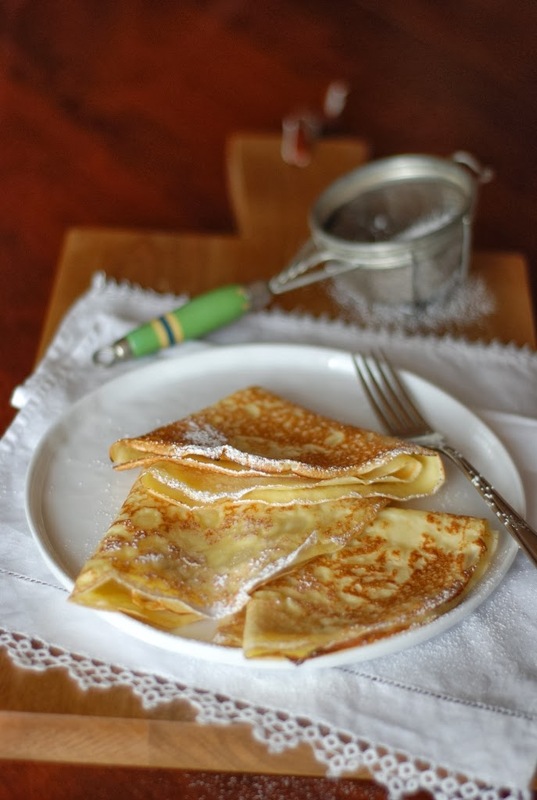 Crepes can be a simple meal or an elegant dessert. 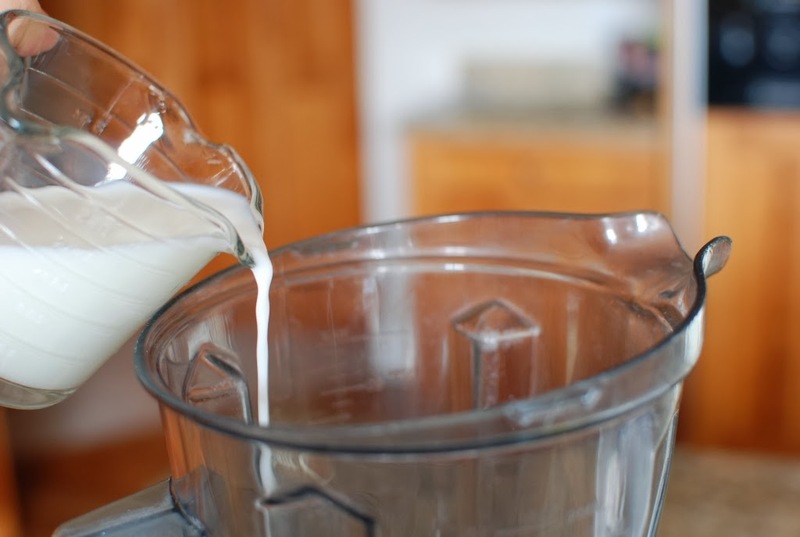 In a blender add 2/3 cup cold milk. 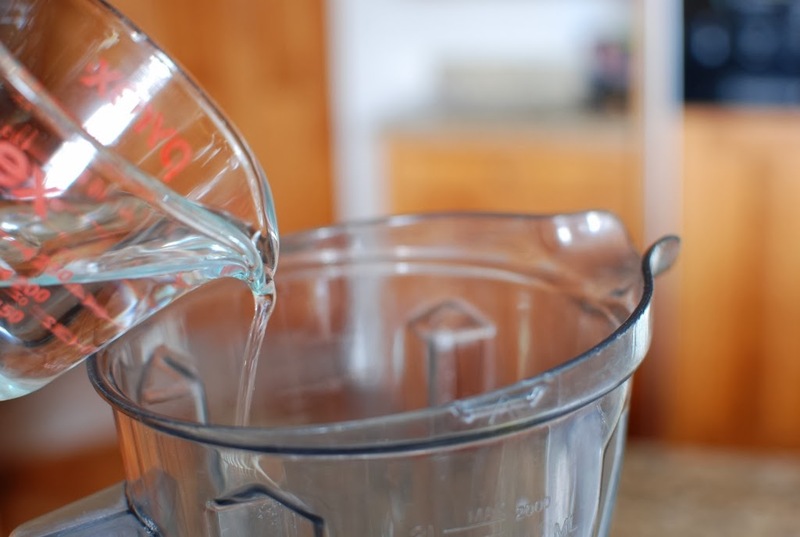 2/3 cup cold water and eggs. 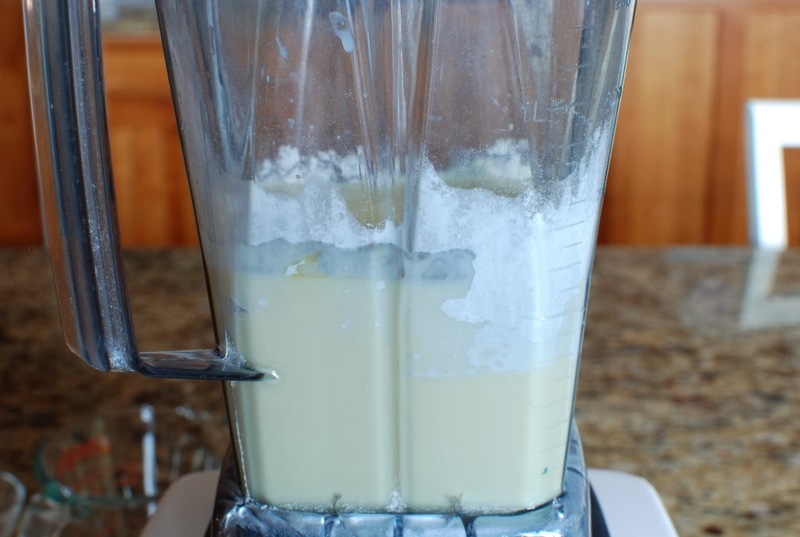 Blend just until ingredients are mixed together. Add 3 tablespoons melted butter. I melted 4 tablespoons so I would have a bit to brush the crepe pan with. 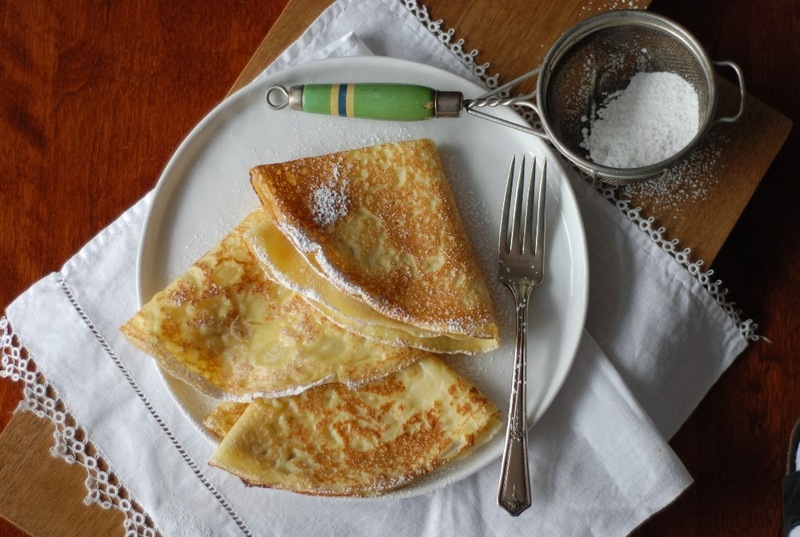 Drizzle about 1 teaspoon melted butter onto a heated 8 or 9-inch crepe pan or skillet. I purchased this crepe pan from Williams-Sonoma. I have had them for years. They were a great price 2 for $27 dollars, so I bought 2. I never wash them. I just wipe them out with a paper towel and use them ONLY for crepes. I will have them forever. 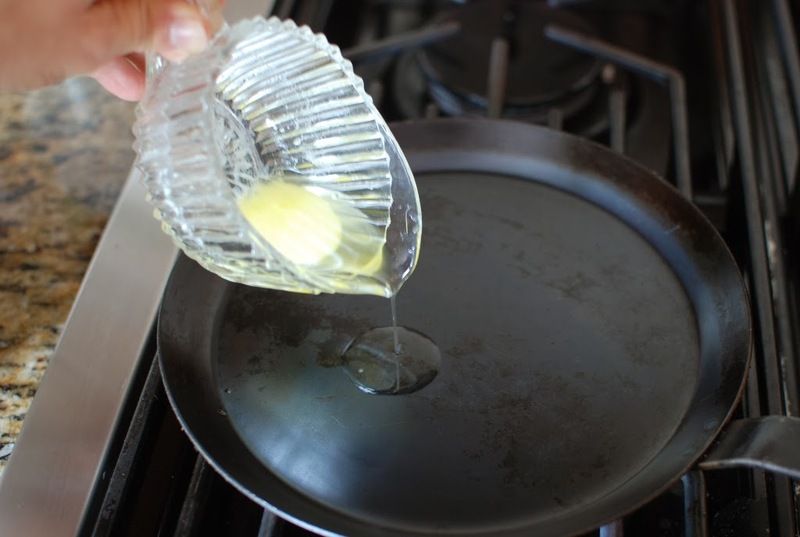 Brush the bottom of the pan with the melted butter. Pour 2-3 tablespoons of the batter onto the heated pan. Where is Martha’s staff when I need them? 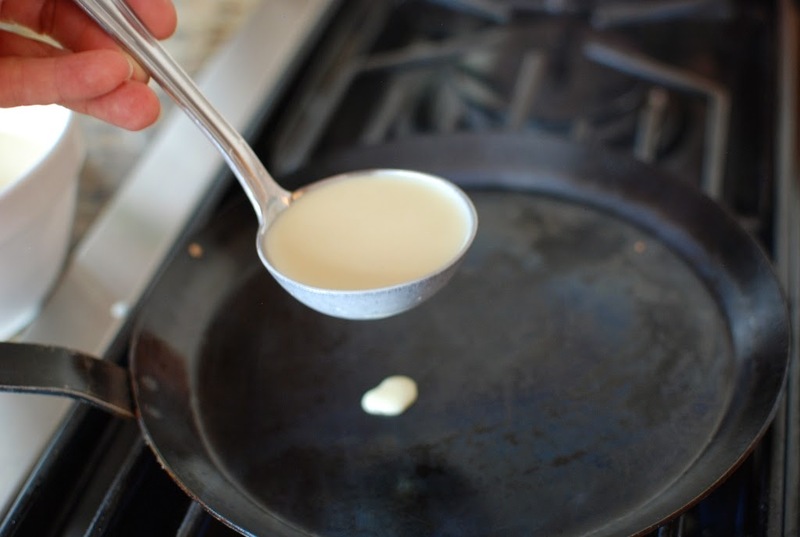 This is a trick to coat the pan while I tip and swirl the batter AND take a photo. 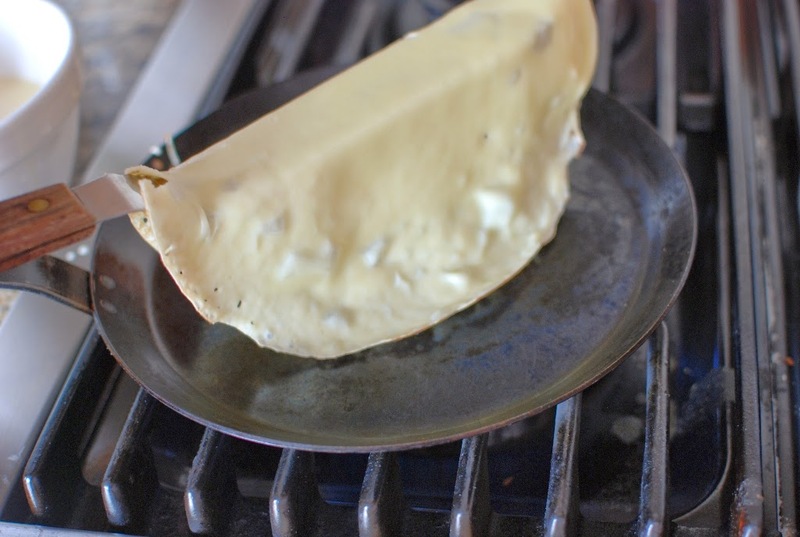 I love using an off-set metal spatula to turn the crepe over. 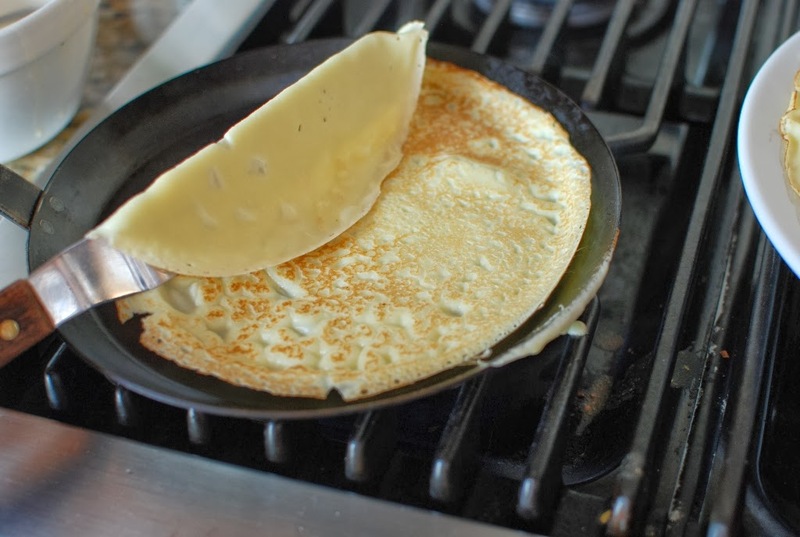 Loose the edges of the crepe by running the spatula around the crepe. Slide the spatula under the crepe. 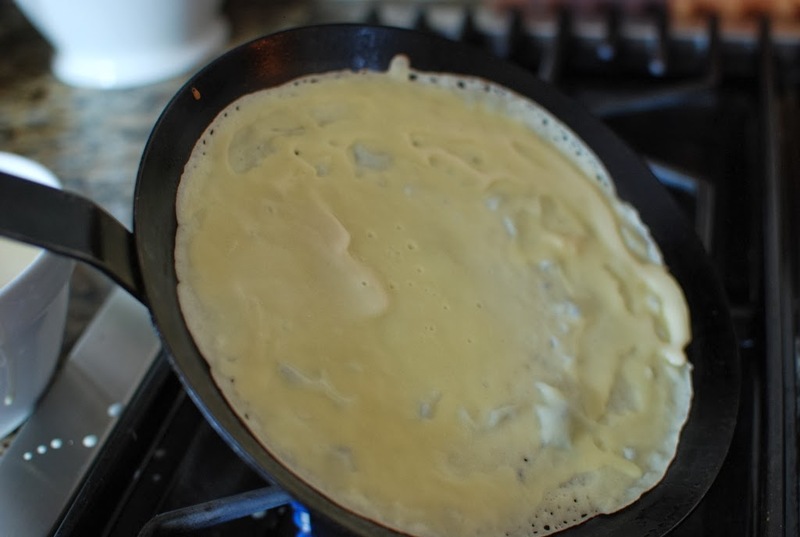 Lay the crepe back into the pan and cook the other side. Remove the crepe and place on a platter. 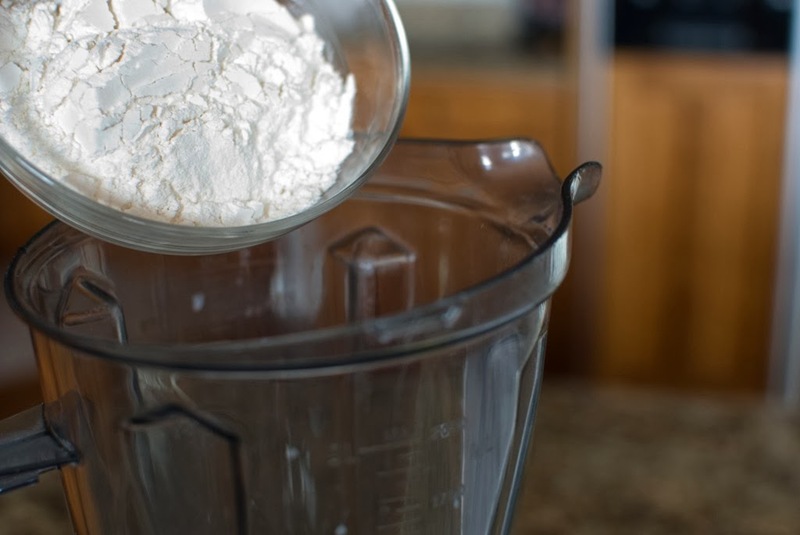 Repeat the process using all of the batter. 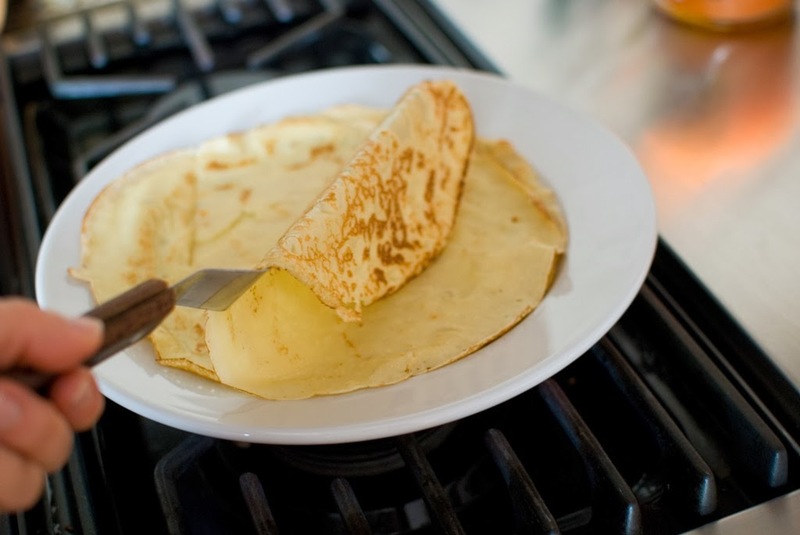 Cooked crepes can be stacked on a plate or placed on a cooling rack. We like to eat ours hot. Fill the crepes with your favorite filling. My grandkids LOVE Nutella. My sons love lemon and sugar. I love fresh peaches and whipped cream. Strawberries of course. Everyone loves strawberries. 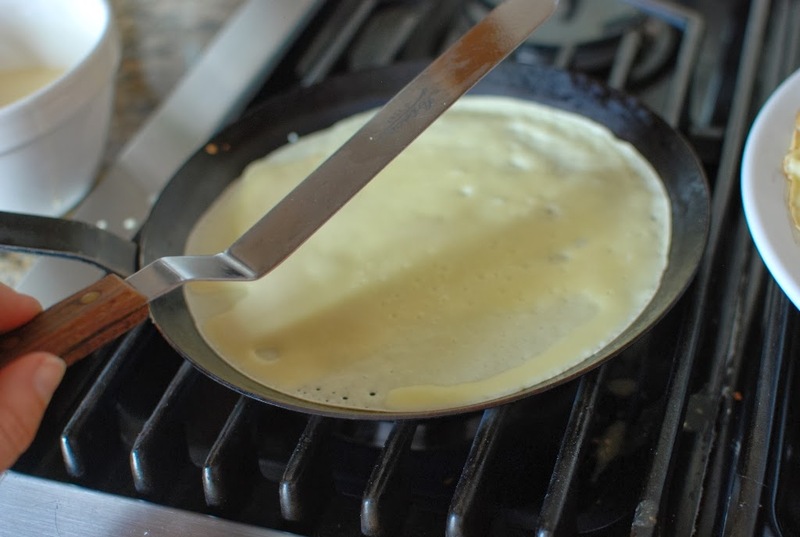 Learning how to make crepes is something every home cook should do. It's not that hard once you get the hang of it, and there are so many uses for them. 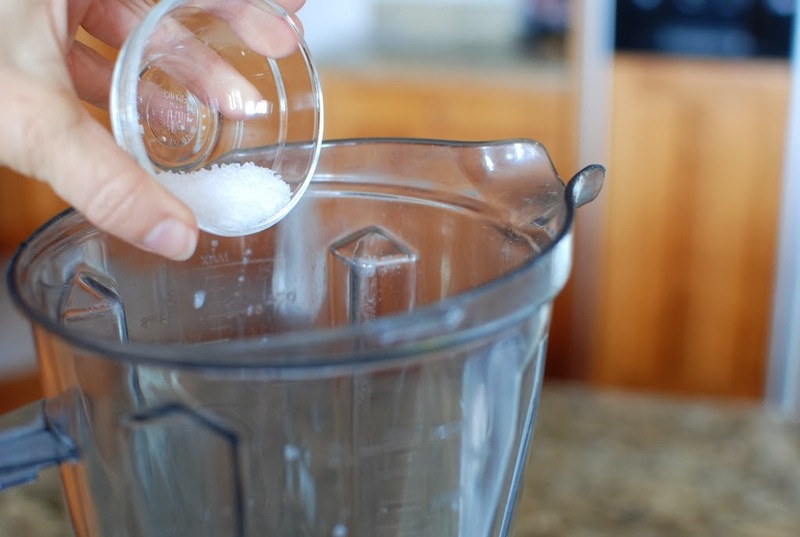 Add the the ingredients into a blender and blend until smooth. 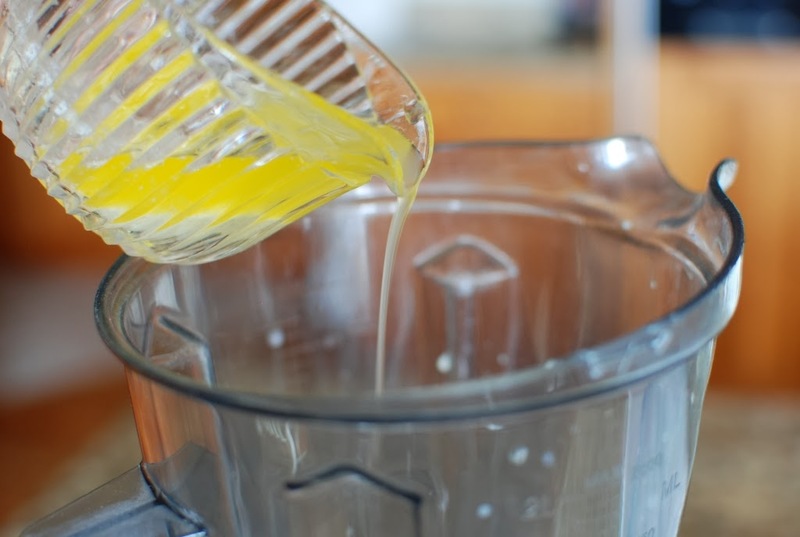 Batter can be mixed with a whisk as well. 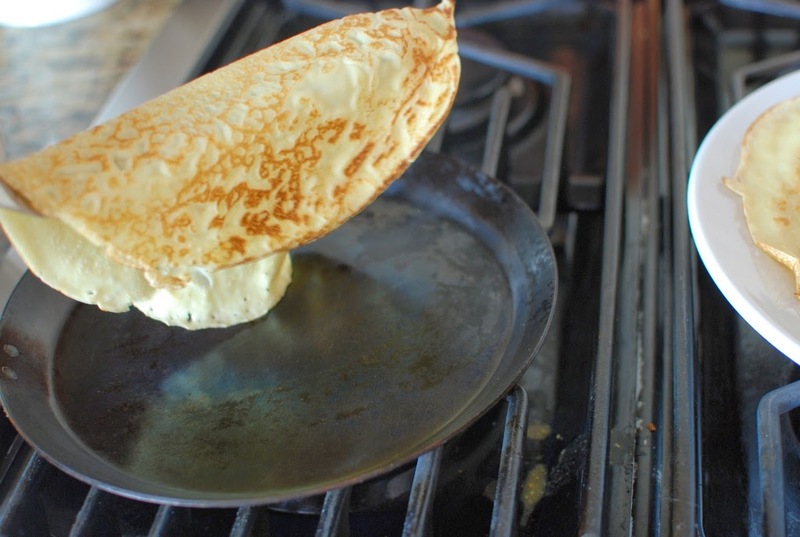 Heat a crepe pan or a 8 or 9-inch skillet. 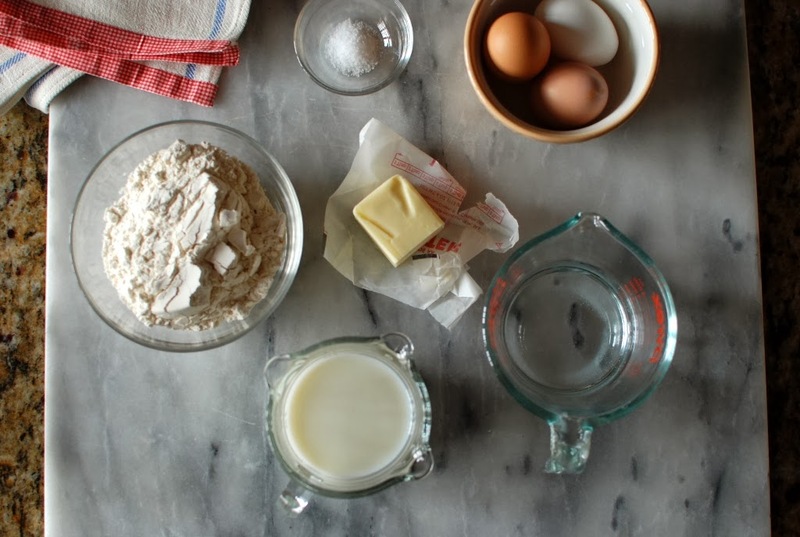 Brush with butter and pour about 3 tablespoons of the batter into the center of the pan. Tilt the pan in all directions to cover the bottom of the pan. Cook until the batter appears dry on top. 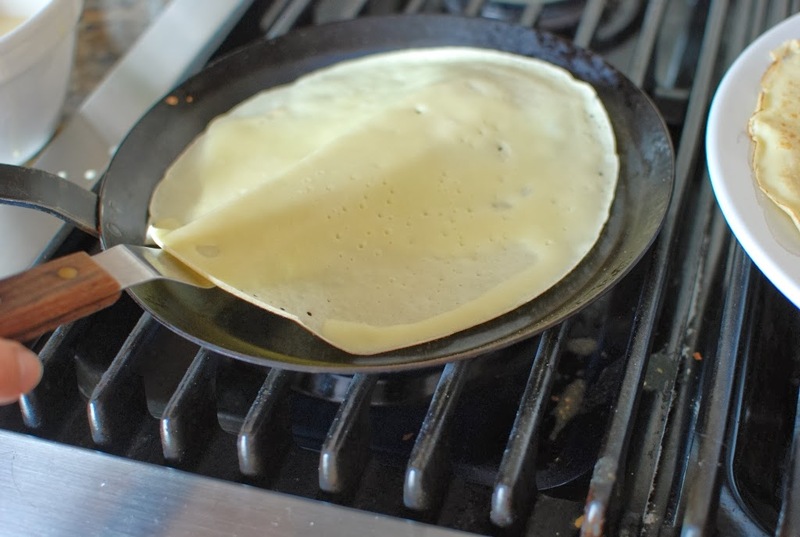 Carefully turn the crepe over and cook briefly. Repeat process until all the batter has been used. Filed Under: Breakfast, Dessert Tagged With: Breakfast, crepes, french crepes, Nutella, step-by-step instruction, step-by-step photo's. Looks yummy!! I love making your baked bread in the oven better it's the Best I've ever had but I'll probably try this one to my daughter went to culinary school she always puts her batter in the fridge ! I refrigerate my batter often as well. Great tip. Thank you so much. I'm so happy you enjoy the bread. It's life changing…right? Once again a perfect recipe and style of writing and photos. 🙂 Is that a De Buyer pan? Thanks! Thank you so much, Irene, for your kind comments. I purchased my pan through Williams-Sonoma. They were on sale 2 for $22.00 years ago. They have been a great purchase. I actually don't know the brand. On the handle it is stamped "Fabrique en France" and the number 24. Love them. If the batter is well chilled 3 tbls works great. It depends on your pan and batter consistency. 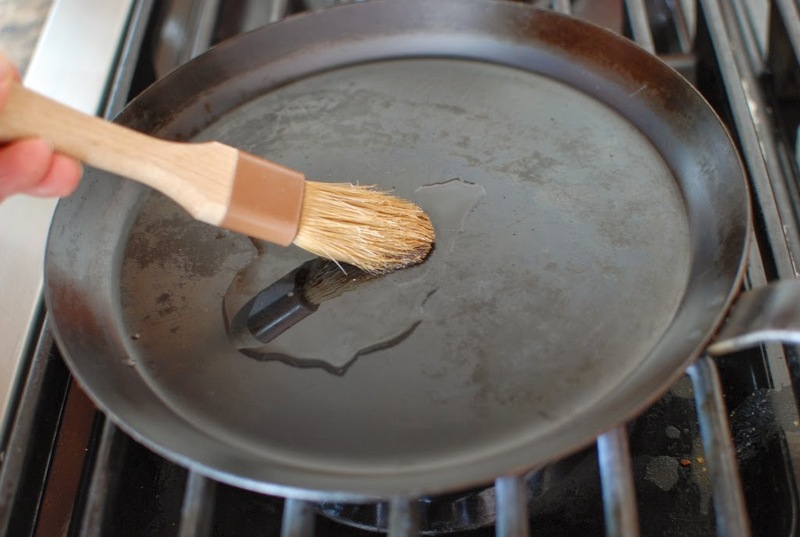 If 3 tbls doesn't cover your pan just add more batter. 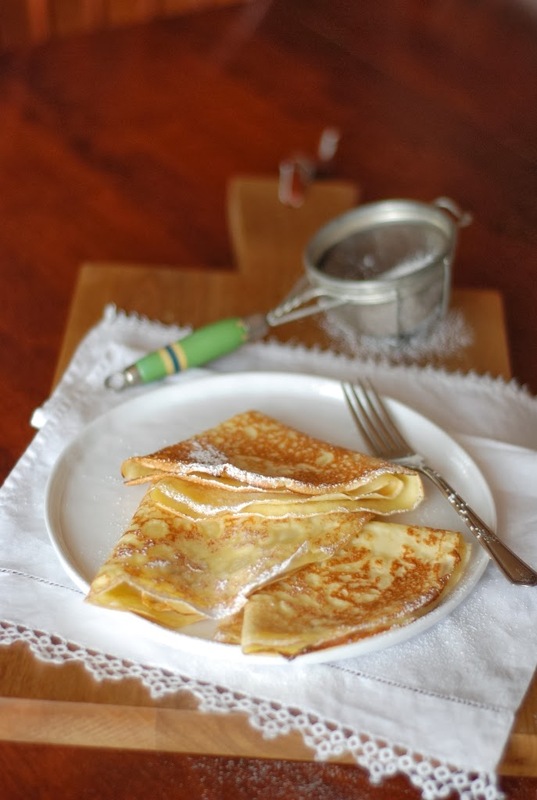 Most crepe recipes suggest that you let the batter rest for a few hours or overnight. Do you find that that helps? I testing refrigerating vs not refrigerating. I found the refrigerated batter yielded more crepes because they were thinner and it was easier to spread over the bottom of the pan. The refrigerated batter worked well. The crepes were thicker, but taste was equal. I once had one of those beautiful crepe pans. Mine was almost exactly the same: complete perfection. Wiped out with paper towels and used only for making perfect creeps. Then I moved to Hawaii. It totally rusted in the tropic humidity, just like almost everything else I own . The price of paradise. I'm so sorry to hear about your pans. The upside…you live in HAWAII!!! You don't have to shovel sunshine like I shovel snow. 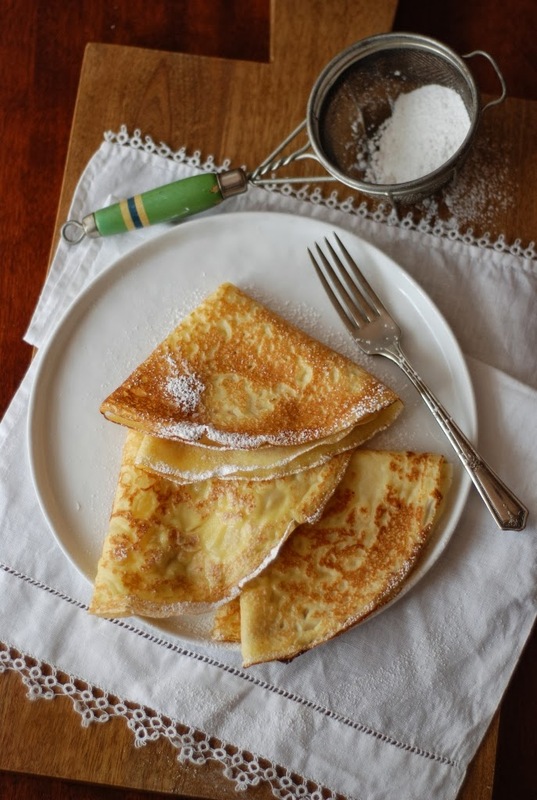 Crepes intimidate the heck out of me… But yours look so simple, and flawless… And the only crepes I've eaten have been soggy… I'm so tempted to try these! I'll pin them for the day I have the guts. I just have to say, I've been following you for months now, and not only do I love your recipes, your step-by-step pictures are some of the best I've ever seen. Your pictures are fantastic 🙂 I want to be you when I grow up! Why thank you April I will take that as a HUGE compliment. I consider myself extremely novice when it comes to photography. Thank heavens my husband has a descent camera that I took over when I started my blog. Darling blog! Blueberries with lemon juice and powdered sugar. Mmmmmm… Sublime! Crepes can also be an awesome cake! My birthday is three weeks away and since almost my whole family is coming to my house (my mom ask me today what do I need for the party… "chairs!!") I'm starting to plan it. I'm thinking to stack crepes (some covered in caramel for crunch) with creme diplomat and strawberries on the side. But your zucchini cake is soo tempting… and we already are in courgettes season! Wow! That is a lot of food restrictions. That makes cooking so difficult. Remember it's YOUR birthday make whatever you want. You stacked crepe cake sounds fabulous…or there IS always water 🙂 Make your day amazing.